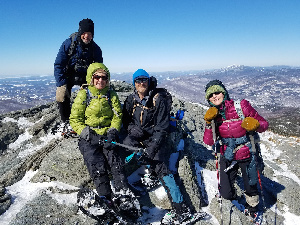 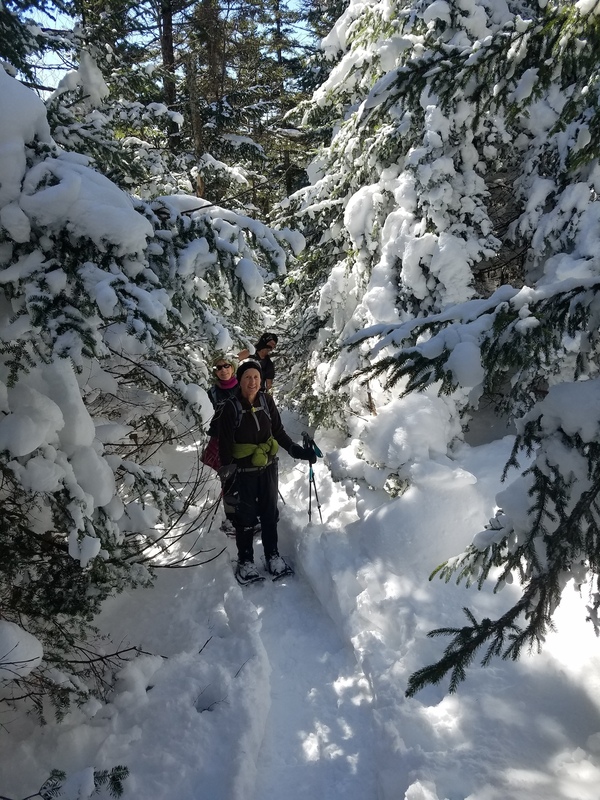 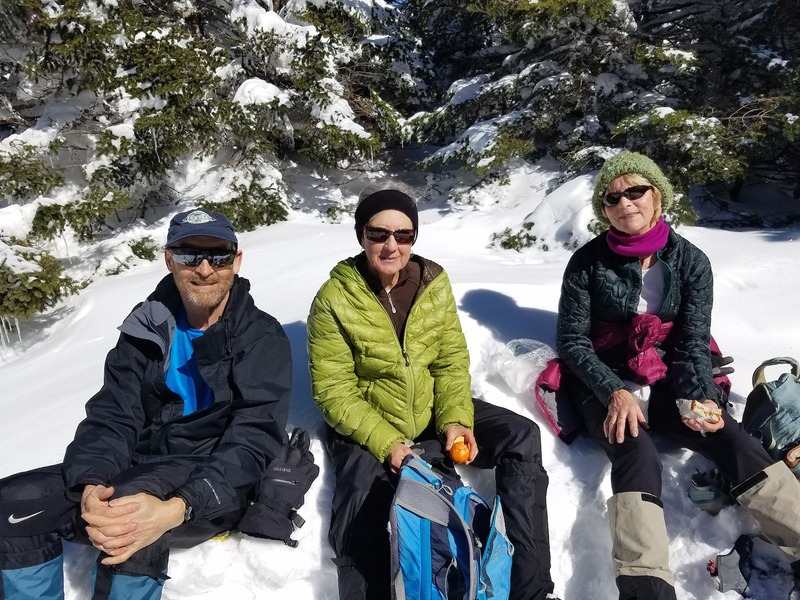 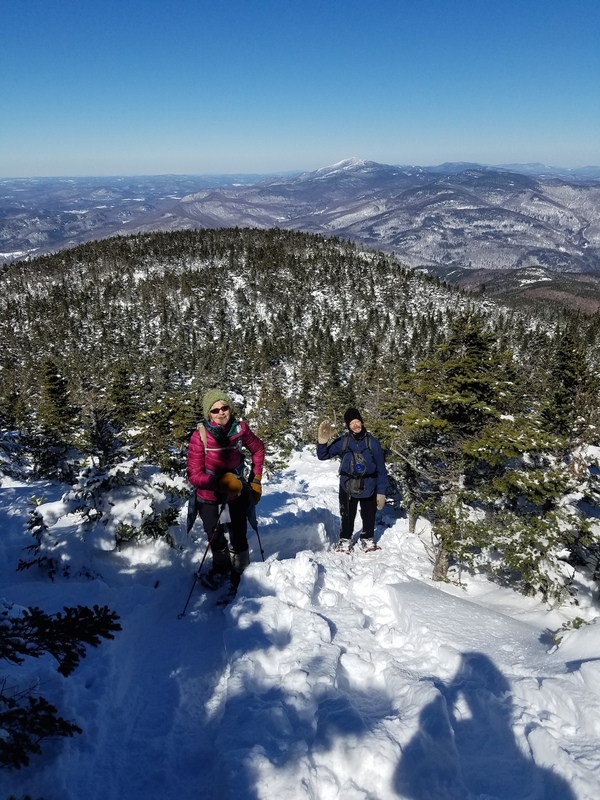 Four hikers participated in the snowshoe trip up the Monroe trail to Camel's Hump. It had snowed over two feet four days earlier, but fortunately many people had been up the trail, and it was well packed. 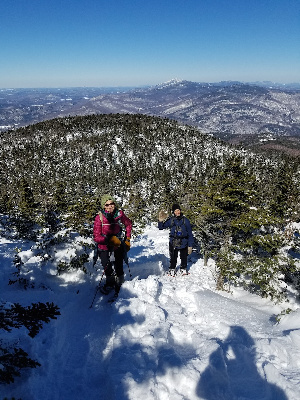 It was a beautifully clear day, and the views from the top were spectacular.